Among the first four opponents in our five's group there were no well-known names, which helped them to reach the final stage rather easily. It's noteworthy that the match within 1/32, where the opponents were QULITY, who showed a quite good game. In 1/16 our guys had to deal with big-name team LDLC.Blue. 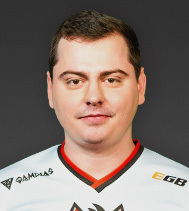 A map of the match was Inferno, and everyone waited from ANGE1 and his Czechoslovak friends a confident and accurate play. And that's what happened! HellRaisers won 12 rounds in a row, having shown a high map and shooting control. The French did manage to answer and took 7 rounds in return, but our squad broke all plans of its rival and won! Tomorrow we have rather interesting games, which will run in a best-of-three format. We do believe that HellRaisers will do their best to win them all. The coverage of the tournament is on our website. «I am glad that this time we did get through this qualifier, but the most difficult is ahead. Tomorrow there will be more serious rivals, and there we will have to pull ourselves together».